While the listing doesn't outright say "Google Home Hub" anywhere in it, a few details like the FCC ID and "Interactive Video Streaming Device " description are very strong indicators. 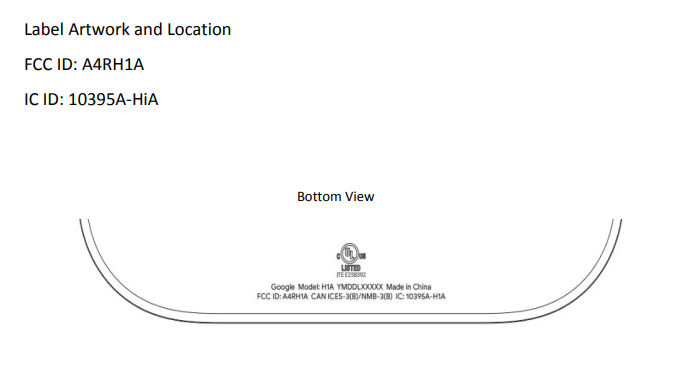 The new device has the FCC ID A4RH1A, A4R being Google's prefix, and Hxx has historically stood for Home devices. For example, the Home was A4RHOME, the Home Mini was A4RH0A, and the Max was A4RH0B. We also get this beautiful black and white illustration of (part of?) the bottom, stunning in its detail. It is shaped like half of the curved base revealed in leaks, though. If I had to guess at any of the implications revealed by the FCC details, I'd say i'ts possible the Home Hub is powered by the same Qualcomm Home Hub platform (i.e., Snapdragon 624) that other recent products like Lenovo's Smart Displays use. 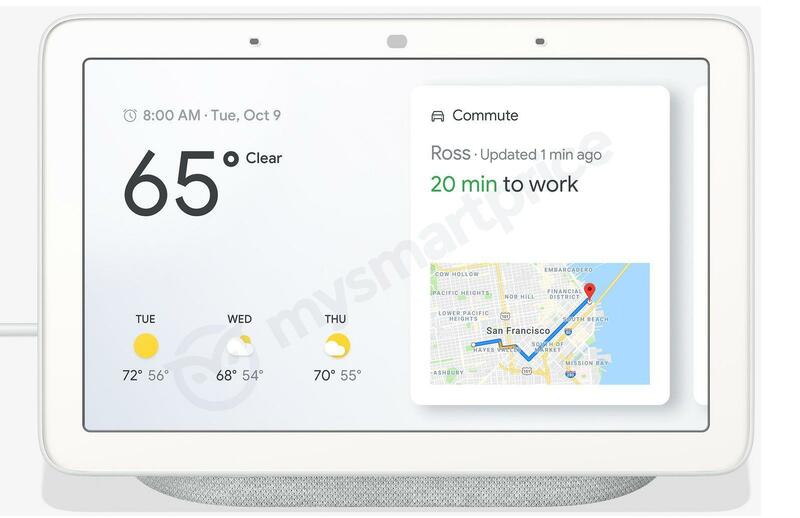 Wi-Fi and Bluetooth details are pretty much the same, and it would be wise for all of these Google-powered smart displays to share a hardware reference platform for ease of updates. But, there's no outright proof of that in any of the details associated with the FCC filing, just some mild corroboration. Like most of Google's upcoming product lineup (excluding the Pixel 3), we'll just have until October 9th to know.